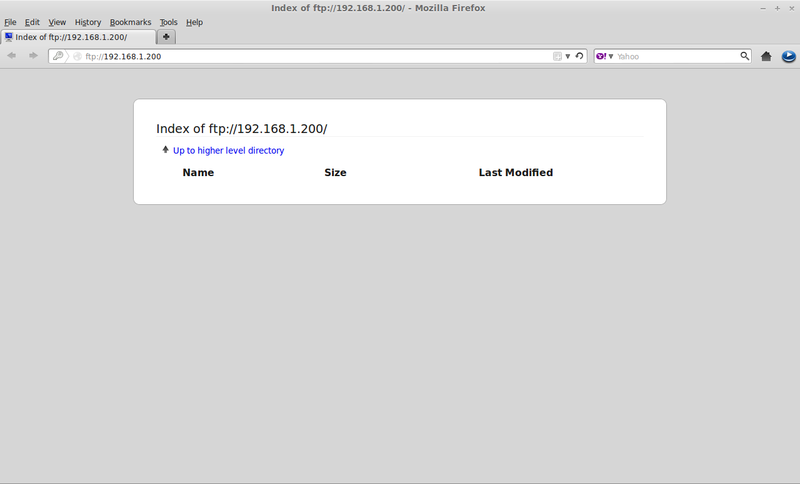 This tutorial shows you how to install and configure FTP server in CentOS 6.5. Though the steps provided here are tested in CentOS 6.5, it should work on RHEL 6.x(x stands for version) and Scientific Linux 6.x too. In this tutorial my ftp server ip and hostname are 192.168.1.200 and mainserver.ostechnix.com respectively. I have already configured a local repository and i am gonna to install FTP from my local repository. Before proceed, stop the firewall. Now let us install FTP service. [root@mainserver ~]# Start vsftpd service. Enable vsftpd in multi-user levels. Now edit the /etc/vsftpd/vsftpd.conf file. Uncomment and edit the lines in the vsftpd.conf file which are shown in bold. # The target log file can be vsftpd_log_file or xferlog_file. # Switches between logging into vsftpd_log_file and xferlog_file files. ftpd_banner=Welcome to OSTECHNIX FTP service. Now let us restart the vsftpd service and try to connect to ftp server. Connect to the ftp server. 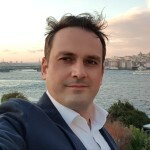 Note: Root is not allowed to connect to ftp server by default for security purpose. So lets us create a new user called ostechnix. Changing password for user ostechnix. 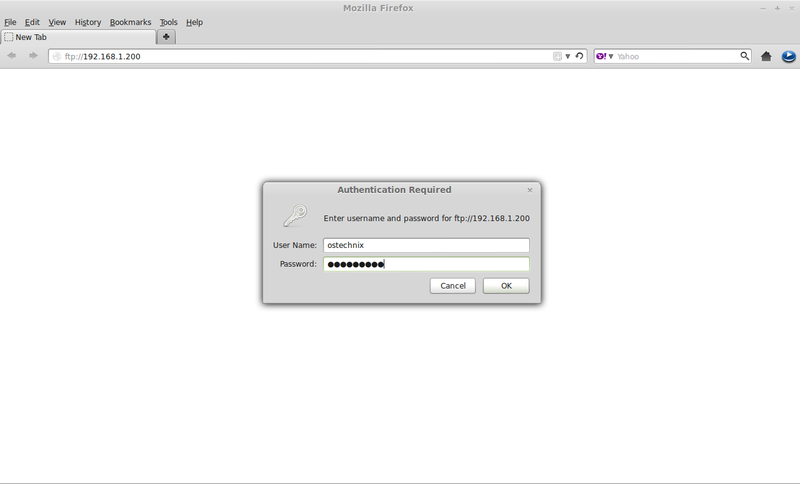 Connet to FTP server using the new user ostechnix. Oops! ftp package is not installed. So let us install ftp package first. Again connect to the FTP server. It shows a error that the user cannot change to his $HOME directory. Type exit to return back from the ftp console and allow vsftpd daemon to change users into their $HOME directories. To do that update SELinux configuration using the command below. And finally connect to the FTP server. Its working now. You can use your FTP server. Download and install Filezilla client software to any one of the client systems. 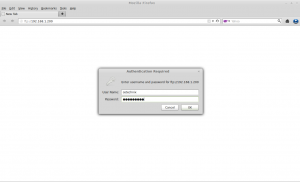 Open the Filezilla client and enter the username and password which we have created earlier and click connect. Open the browser and navigate to ftp://192.1168.1.200. Enter the username and password which we cretaed earlier. If you want to browse ftp server using domain name(i.e ftp://ostechnix.com) instead of ip address, add the ftp server ip in the DNS server records. Thats it. 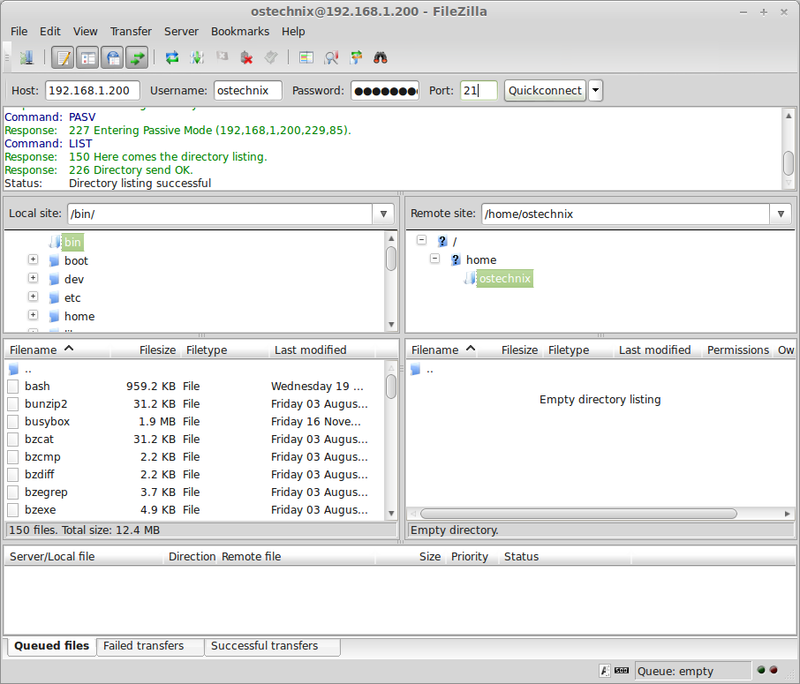 You can access your FTP server from any client now using Filezilla and as well as from your client web browser.